Hali Boyd is the Program Director of Sea School Northwest, a new maritime workforce training program. Hali began her career on the water as a deckhand for the Grays Harbor Historical Seaport tall ships on the US West Coast. She continued her professional development on traditional vessels by traveling to the East Coast and Great Lakes to work as a bosun and mate before earning her USCG 100 tonne Inland Captain’s license and AB Special. 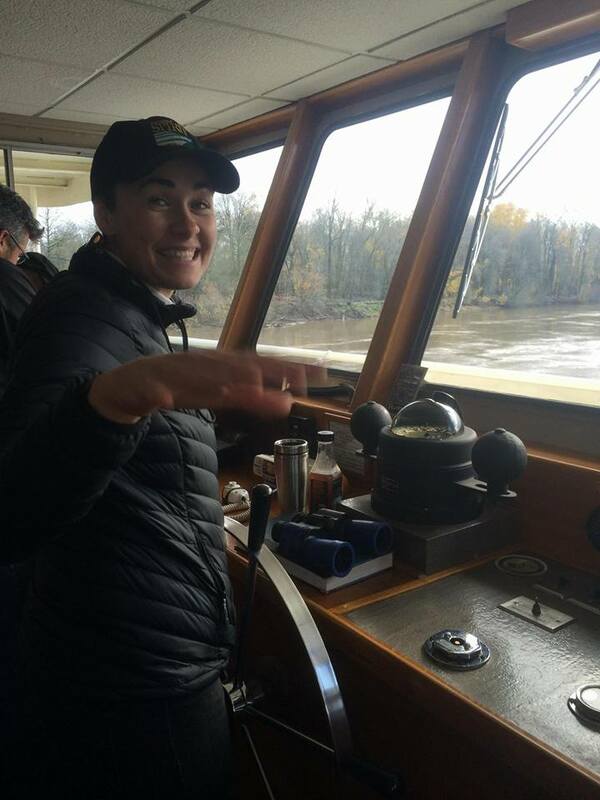 She returned to the Pacific Northwest to serve as Captain of the Portland Spirit, and work as a Columbia River tugboat Deckhand/Engineer for Shaver Transportation. When she is not sailing, Hali is the marketing manager of woodshop in North Portland that specializes in the deconstruction and reuse of heritage lumber. Please feel free to reach out to her at hboyd@seaschoolnw.org.